Oral Hyaluronic Acid for Maintaining your skin, eyes, muscles and joints for a healthier more active life. 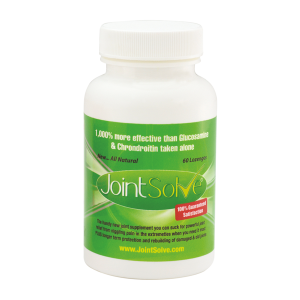 Helps support cartilage and normal collagen function. 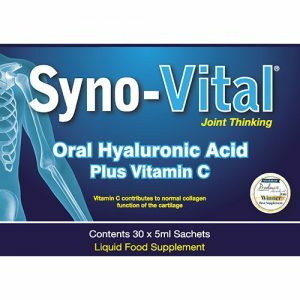 Syno-Vital Advance Plus Vitamin C capsules are an effective supplement specifically designed to restore flexibility and lubrication to your joints. Simply taking 1-2 capsules a day will soon have you experiencing pain free movement and flexibility. Experts hail Hyaluronic Acid as a wonder molecule, with amazing powers to rebuild and rejuvenate your body. As we get older, Hyaluronic Acid levels can decline in our bodies leading to many problems such as joint pain, poor eyesight, poor skin quality, weaker muscles or loss of muscle mass. Even the most balanced diet cannot be certain you are giving your body the Hyaluronic Acid it requires. 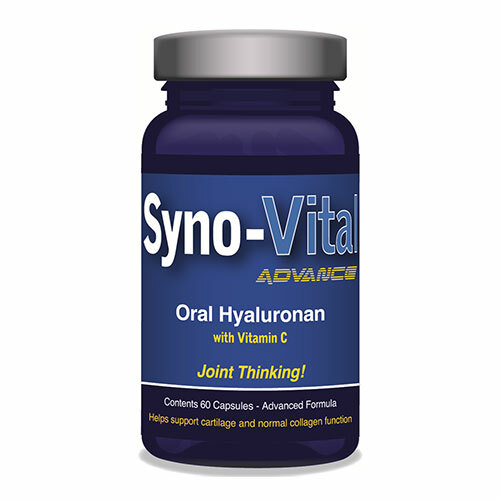 Syno-Vital Advance Plus Vitamin C is an effective supplement specifically designed to restore flexibility and lubrication to your joints. Simply taking 1-2 Syno-Vital Advance Plus Vitamin C capsules a day will soon have you experiencing pain free movement and flexibility. Each capsule contains the Hyaluronic Acid your body needs to keep your joints healthy, flexible and provide you with pain free movement. Adding Vitamin C boosts the results you receive as it forms a major component of collagen – which is required for the formation and maintenance of cartilage. Take 1-2 capsules daily or as advised by a healthcare professional.